History of Mitsubishi branOne of Japan's largest and oldest engineering corporations, Mitsubishi, is currently the third largest car manufacturer in the country and a leading truck manufacturer. Its roots go to the small shipping company Tsukumo Shokai, founded in 1870 by Yataro Iwasaki. In March 1873, she received the now world-famous name "Mitsubishi" and the emblem in the form of three diamonds. By the beginning of the 20th century, the company had become a large industrial cartel that produced ships and various equipment. In 1917, the shipbuilding branch of Mitsubishi Shipbuilding Co. from Kobe acquired in Italy a license for the production of a Fiat Zero car. In Japan, he received the brand "Mitsubishi A". This model was the first in the country passenger car production. The following year, 7-1 trucks (30 hp) were created for 2-3 tons, then produced in small batches for almost 10 years. 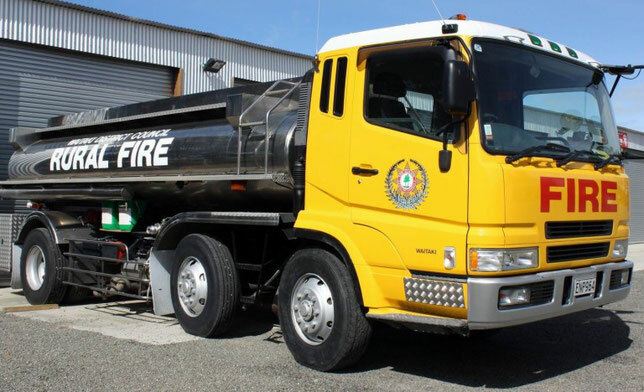 In 1924, the first Japanese dump trucks and watering vehicles were built on their chassis. In 1920, a group for the production of internal combustion engines was separated from the shipbuilding department, and in 1928 - an aviation branch. Both of them in 1934 formed in Tokyo a heavy engineering company Mitsubishi Heavy Industries (Mitsubishi Heavy Industries) with its own automobile department. Most of Mitsubishi's development of those years was not directly related to trucks, although all of them later became the basis of their design. This is Japan's first 4-cylinder diesel with direct fuel injection (1931), the first Japanese gasoline and diesel buses (the B-46 and BD-43/46 models in 1932 and 1935), which received the Fuso trademark "(Fuso), and the first Japanese all-wheel drive car" RX-33 "4 × 4 (1934). Since 1932 the passenger-bus "VT-38" was produced. The first experienced 3-axle gasoline trucks TS-20 and TSS-28 (6 × 4) with a payload of 2-2.5 tons appeared two years later and were civilian versions of the standard army model "Type 94". In 1936, the first diesel truck "TD-45" (70 hp) was built on Mitsubishi, and in 1937 - the first truck with a wheel arrangement of 4 × 4. During World War II, light and medium tanks were produced at Mitsubishi factories. The post-war revival of the Mitsubisi concern began in November 1945 with the release of the 4 ton truck KT-1. From the next year, fire engines with 6-cylinder petrol or diesel engines (110-120 hp) were produced on the hooded bus chassis "B-1". During this period, the automobile division of Mitsubishi continued to search for its development path and produced a wide variety of vehicles: C-10 scooters and MB-46 electric buses (1947), Mizushima 3-wheeled cargo bikes ) And multi-buses "R-11" wagon configuration (1950), American "jeeps" (1953). In 1952, based on the trading company "Fuso Motor Sales" (Fuso Motor Sales), the second automobile branch of Mitsubishi-Fuso in Nagoya, specializing mainly in buses, was established. 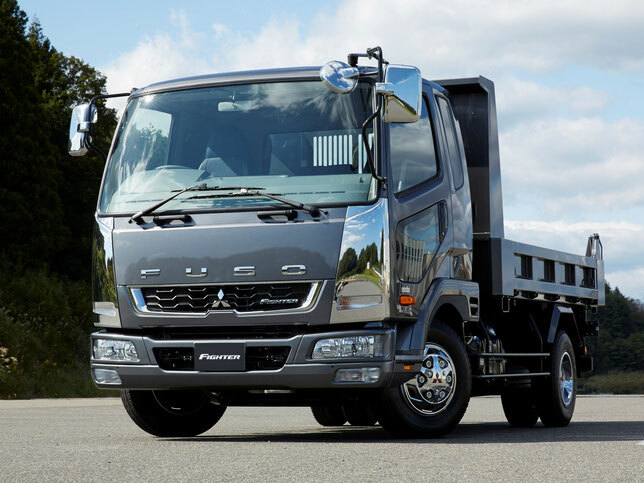 Meanwhile, the production of trucks offered under the Fuso trademark unfolded at Tokyo's repeatedly transformed Mitsubishi Heavy Industries branch in Tokyo. In 1951, a series of "T" appeared, which was produced for more than 30 years. The first was a 8 tonne hatch T-31 truck, followed three years later by a 7.5-ton T-32 variant. Completely manufactured at the enterprises of Mitsubishi began in 1955 a new 8-ton T-33 with a vacuum brake booster. In parallel, the company produced very popular in Japan light pick-up trucks "Minica" (Minica) and 3-wheel cars "Leo LT-10/11" (Leo) with a carrying capacity of 350-500 kg. With 2-cylinder motors of motorcycle type (359-493 cm3, 18-21 hp). The transition of Mitsubishi to the mass production of trucks occurred in 1959 with the manufacture of an updated series of "T" in the hood and bonnet versions. The first Japanese heavy truck with a reclining cab above the engine was the 8-ton model "T380" (6 × 2) with a diesel engine with a capacity of 200 horses. In 1959, the hood series "Jupiter" (Jupiter) with a carrying capacity of 2.5-3.5 tons with diesel or gasoline engines (70-76 hp) appeared. It became the base for the popular 25-seat buses "Rosa" (Rosa). Since 1960, the production of 8 tonne hood "T330" with a 6-cylinder in-line diesel engine (8.6 liters, 165 hp), including a reinforced version of the "T335LM" for construction, began. In 1963, based on the "Jupiter" series, a very elegant boneless version of the "Fuso T720" was produced, which has now become known as the "Canter". During the sixties, based on these chassis, an extensive cargo program was formed, Mitsubishi, which included the second generation of the Canter, the first 4-tonne bespokapotnaya model "T620" (110 hp), as well as a family of heavy vehicles "Т360", "Т390", "Т410", "Т810", "Т910 / 911" and "Т951" with lifting capacity of 3-5 tons with wheel formulas 4 × 2, 6 × 2 (with front and rear or two front driven axles ) And 6 × 4 with 6 8-cylinder diesel engines (13,3-14,8 liters, 200-280 hp) and power steering. Based on 6-ton full-drive army trucks "W20", "W23" and "W27" (6 × 6) with engines with a power of 200-280 hp. Special tractors, timber trucks, 10-ton dump trucks "W11D" and aerodrome fire trucks were produced. Since 1966, based on the "Minica" passenger car model, Mitsubishi has offered its lightest 18-strong Minicab truck with an all-metal body for the local market. Two years later, a van and a Delica pickup truck with a payload of 600 kg appeared. With engines of 53 hp, created on the aggregates of the Kolt-1000 (Colt) passenger car and became the prototype of the modern series "L300". The program also included 2-axle 7-ton construction dump trucks "T-52" with a 1-seater cabin, multi-seat buses and trolleybuses. By the end of the 1960s, the Mitsubishi concern took the first place in Japan in the production of trucks. In April 1970, based on the division of Mitsubishi Heavy Industries, an independent automobile company, Mitsubishi Motors Corporation, was established, but in May of the following year, the US Chrysler bought out 15% of its shares. In 1973, its share increased to 35%. This allowed us to modernize the entire program and enter new markets. The main events of those years are the introduction in 1972 of the heavy series "T813" with the new diesel V10 and the third generation of the Kanther range in 1973. Simultaneously, the formation of a new series of "F" with a cabin over the engine, which is still manufactured at the Kawasaki plant near Tokyo, began. By 1982, it included hundreds of variants of unified trucks and truck tractors of the FK, FM, FP, FR, FS, FT, FU, FV and FW models with Wheeled formulas from 4 × 2 to 8 × 4 with in-line 6-cylinder naturally aspirated diesel engines (6557-11945 cm3, 160-240 hp) or a direct injection V8 engine (16031 cm3, 320 hp), 5 , 6 or 10-step gearboxes, 2-circuit hydropneumatic brake actuator and spring suspension. The hood series consisted of dump trucks and timber carriers "NV" (6 × 4) and "NW" (6 × 6) with a total mass of 25.5 tons (as part of a road train - up to 44 tons) with a new diesel V8 (14886 cm3, 285-305 liters .s.) And a 12-speed gearbox. In the 70-ies. A large batch of such cars was delivered to the timber enterprises of the Soviet Far East. 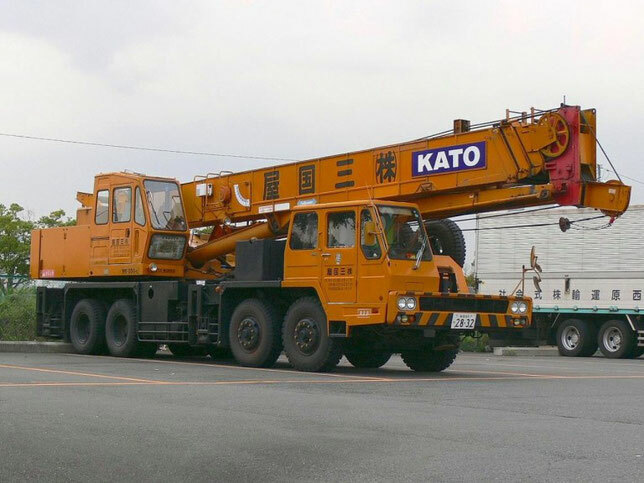 Since 1976, the production of crane chassis began, the carrying capacity of which by 1981 reached 150 tons (4-axle model "K1302"). In 1978, the fourth generation of Canter and the small FE series began, and in 1981 the lightest 1.5 ton Kanter 15 model. 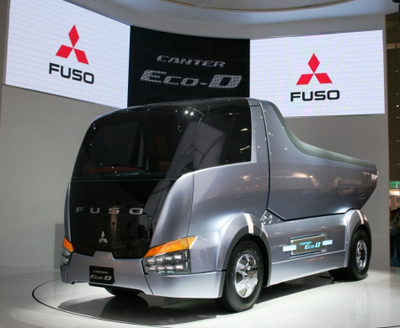 The name "Fuso" was used only on machines destined for the Japanese market. By the 70-ies. Is also the beginning of mass production of light trucks Mitsubishi. In 1978, the production of pick-up trucks L200, known in Japan as Strada, began at the Nagoya plant using Lancer car units. From next year, pickups were sold in the US through Chrysler's trade network under the brands "Dodge D50" and "Plymouth Arrow", and since 1980 they have been offered 4x4 versions. In 1979, there appeared vans of the "L300" series, which for Japan retained the former name "Delica". Since 1982 they were offered in version 4 × 4, and in four years their second generation followed. Machines were produced with engines with a capacity of 75-100 hp, with a body-van capacity of up to 10 m3 or a platform with a carrying capacity of 1.4 tons. In 1982, the release of universal passenger and passenger cars Pajero 4 × 4, known in several countries as Montero and Shogun, began. Since 1984, a new generation of the smallest in the program company "Mini" car carrying capacity of 350 kg was offered. With a wheelbase of only 2200 mm., Produced at a new plant in Mizushima. A year later, the production of the fifth family of Canter and the new export model FH with a total mass of 7.5-10 tons started, which received a diesel with a turbo-supercharging of 145 horsepower. In 1983, the radical modification of the "F" series was made, which received a safer, more comfortable and rigorous cab over the engine. Since then, there has been a clear separation of trucks for sale on the domestic and foreign markets. They differed in designation, load-carrying capacity, full weight, safety factor, technical level, cab comfort and appearance. The models bearing the export name "Kanter" in Japan were designated "Fighter Minion" (Fighter Minion), and medium and heavy machines of the "F" series were called "Fighter" and "The Great". On April 15, 1985, an agreement was signed with the Chrysler concern on the establishment of a joint venture in the United States, which entered service the next year. By that time, assembly plants of the Mitsubishi concern had already worked in South Korea, Thailand, India, Malaysia, New Zealand, and the Philippines. In the late 80's, the company "Mitsubishi" produced annually up to 600 thousand trucks, which were exported to 160 countries. In 1988, 47,000 lorries with a gross tonnage of more than 6 tons were manufactured, including 24525 lorries, more than 15 tons (ninth in the world). In 1993 and 1999, the eighth and ninth generation of the Minicab Van and Minicab Truck vans with a gross mass of 1180 kg began to be produced. With a 3-cylinder gasoline engine (657 cm3, 48 hp), a manual or automatic transmission. Their length was 3.3 m, the maximum speed is 100 km / h. Only for export are cargo variants of one-volume cargo-passenger vehicles "Space Runner" and "Space Vagon" (Space Wagon) with 2-liter petrol and diesel engines (82-133 hp), developing speed ISO -185 km / h. Light "Pajero" new generation with engines with a capacity of 92-153 hp. They are produced in the form of vans and are capable of towing trailers weighing up to 3.3 tons. Production of L200 pick-up trucks with a total weight of 2.4-2.8 tons (4 × 2/4 × 4) is established in Thailand, where since 1996 they have been manufactured with an updated appearance, a new turbocharged and intercooled turbocharged diesel engine (2477 cm3 , 100 hp), a 10-speed box, a front independent suspension and three types of cabs. In the early 90s, the L300 series in Western Europe was offered in the performance of TranCity with gasoline or diesel engines with a power of 70-116 hp. And power steering. Similar to her "Delica" with a total mass of 2.2-2.6 tons in Japan is produced with engines of 79-90 hp, a mechanical 5-speed or automatic 4-speed gearbox. In late 1996, they were replaced by a new series of light wagons "L400" (in Japan - "Delica Cargo") with a total mass of 2.5-2.7 tons with engines of 100-106 hp. Since 1993, the sixth generation of Canter has been produced with a more streamlined and comfortable cabin, including FB, FC, FE 4x2 and FG 4x4 models with a total mass of 3.4-6 , 3 tons, which are offered in a variety of options with engines with a capacity of 75-155 horses. In Western Europe, the "FB" and "FE" models are commonly referred to as "Canter 35" or "City Canter", and the "FE" and "FH" variants with a total mass of 5.4-9.9 tons are referred to as " Distri Canter. They are also collected by Mitsubishi subsidiaries in Portugal, Belgium and India. In Japan, the lightest range of Canter, with a carrying capacity of 1-1.5 tons, with a 2.8-liter 94-horsepower diesel engine, is called Tate (Guts). Variants "Fuso Fighter Mignon II" for Japan with a capacity of 4 - 7 tons have 210-strong diesel, front independent suspension and disc brakes with ABS, wheelbase from 2.5 to 7.2 meters. Until the end of the 20th century, about 1.5 million machines of the Kanter series were manufactured. Since 1992, the updated export models of the middle class "FK", "FL" and "FM" with a total mass of 8-17.7 tons are equipped with 6-cylinder diesel engines without supercharging (b, 6-7.5 liters, 160-190 liters .с. ), 5-step gearboxes, tires in the size from 16 to 24 inches. A similar series of "Fuso Fighter" with a carrying capacity of 3.5-10.8 tons is offered in Japan with 4 and 6-cylinder turbocharged engines (4899-8201 cm3, 180-270 hp) and a 6-speed The box. Since 1996, the heaviest cars in Japan have received the name "Fuso Super Great" (Super Great). They constitute a new unified family with a carrying capacity of 7.1-16.1 tons and a full weight of 15.8-25 tons, which includes the series "FP" (4 × 2), "FT" and "FU" (6 × 2), "FV" and "FY" (6 × 4), "FS" (8 × 4). Cars differ cabins over the engine of the increased sizes and with the big area of a glass cover. They are economical and low-toxic diesel engines - row 6-cylinder turbocharged and intercooled and naturally aspirated V8 and V10 (11945-25112 cm3, 310-480 hp), mechanical gearboxes with a number of steps from 6 to 16, spring Or pneumatic suspension with electronic control. 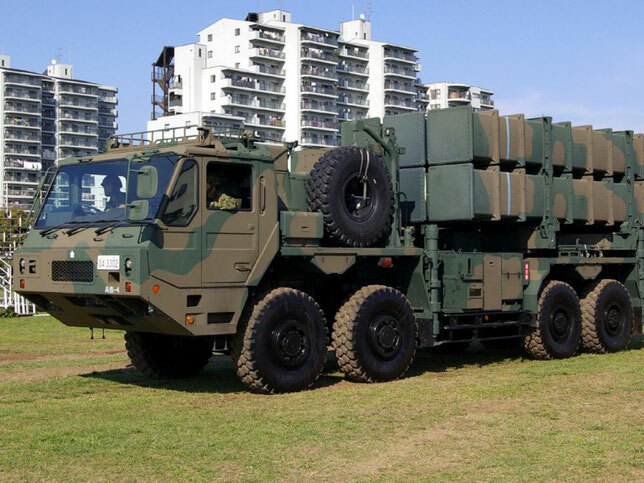 For the first time for Japanese heavy vehicles, they are equipped with front air bags, navigation systems and radar devices. Until now, the production of a heavy-duty hooded series "NW" is continuing to work on the ground and as part of road trains weighing up to 140 tons. The "Mitsubisi" cargo program is closed with low-frame chassis of 6 × 4 and 8 × 4 with engines of 240-355 horses for cranes with a carrying capacity of 20-50 tons. At the end of the 20th century, the Mitsubishi Corporation owned 9 plants and two research centers in Japan, employing 28,400 people. The production of trucks and all units for them is carried out on three main robotic enterprises with a total area of over 300,000 m2, where 4,000 people work. Assembling companies and subsidiaries of Mitsubishi are located in 27 countries of the world. In 1999, all of them produced over 500,000 different trucks and buses, including 53,300 cars weighing more than 6 tons, which corresponds to the third place in Japan and the 13th in the world. On March 27, 2000, an agreement was signed with the Daimler-Chrysler concern, to which 34% of Mitsubishi's shares were transferred. In 2002, the production of an updated Mitsubishi KANTER car in Japan is launched. The car has significantly improved characteristics of reliability, functionality, performance in addition to safety and comfort. The start of sales of the new seventh generation Mitsubishi Fuso Canter in Russia, after the formation of the joint venture FUSO KAMAZ Trucks RUS, formed within the framework of cooperation between KamAZ and DAIMLER AG. The German concern owns almost 90% of the shares of Mitsubishi Fuso Trucks & Bus Corporation. At the moment, Mitsubishi Fuso Trucks & Bus Corporation, being an integral part of the Daimler concern, is developing in the direction of energy-saving technologies, in particular, by the year 2012 the appearance of a fundamentally new Mitsubishi Fuso CANTER, with a fully electric power unit, was announced. The Russian prospects of Mitsubishi Kanter for the next 2 years will be the transition to the Euro-4 standard.